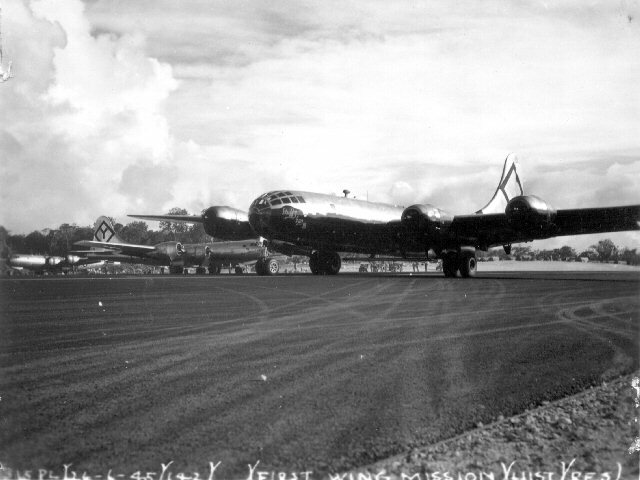 The Groups and Squadrons of the 315th Bomb Wing flew the B-29, B model aircraft. The design of the "B" Model was to save weight by removing all of the guns and sighting equipment used on other B-29s, except the tail gun. 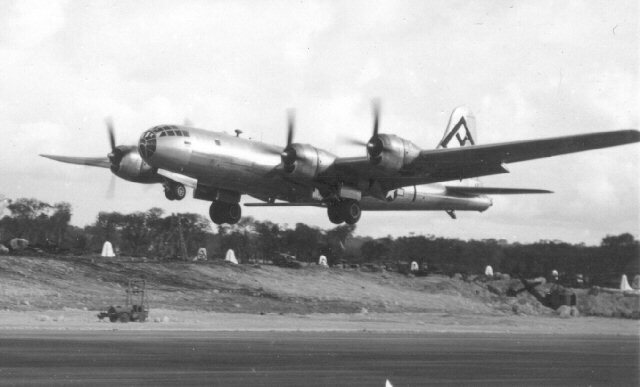 The weight savings allowed the B-29B to fly a little higher and a little further. 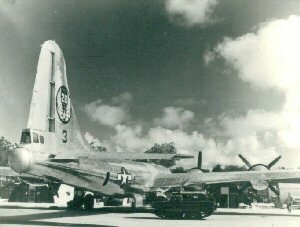 Most of the bombing of the Japanese Empire by B-29s stationed in the Marianas was to the southern parts of Japan. 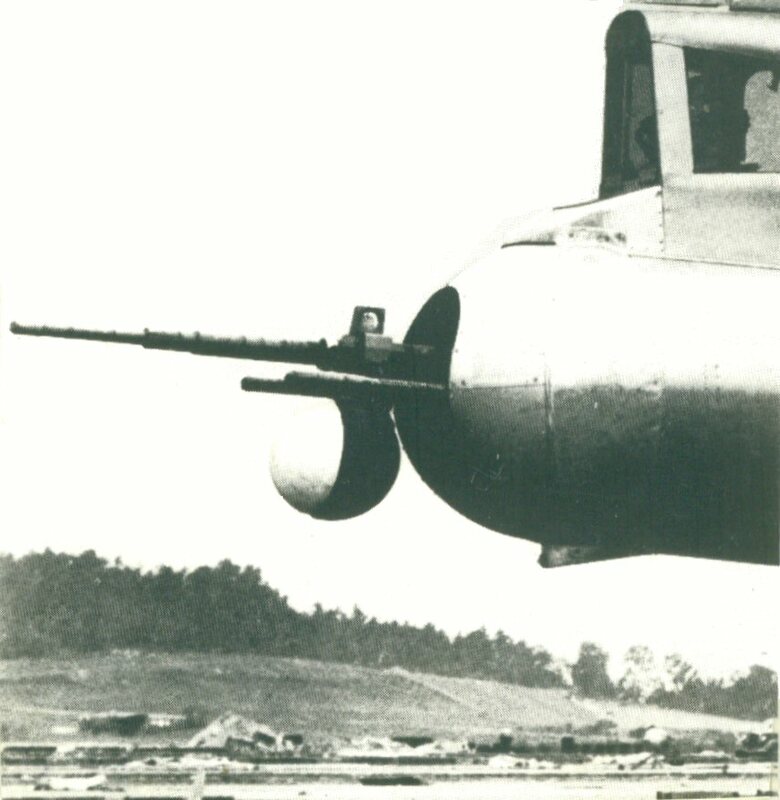 The 15th and final mission of the 315th Bomb Wing and the final mission of the war, was a round trip of over 3650 miles to the Nippon Oil Company at Tsuchizakiminato (in Akita prefecture), on the north west coast of Honshu, the main island of Japan. 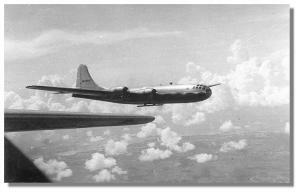 The B-29B aircraft also had two new radar units installed. One was the AN/APQ-7 Eagle Radar for bombing and navigation and the other was the AN/APG-15 used for aiming the tail gun. 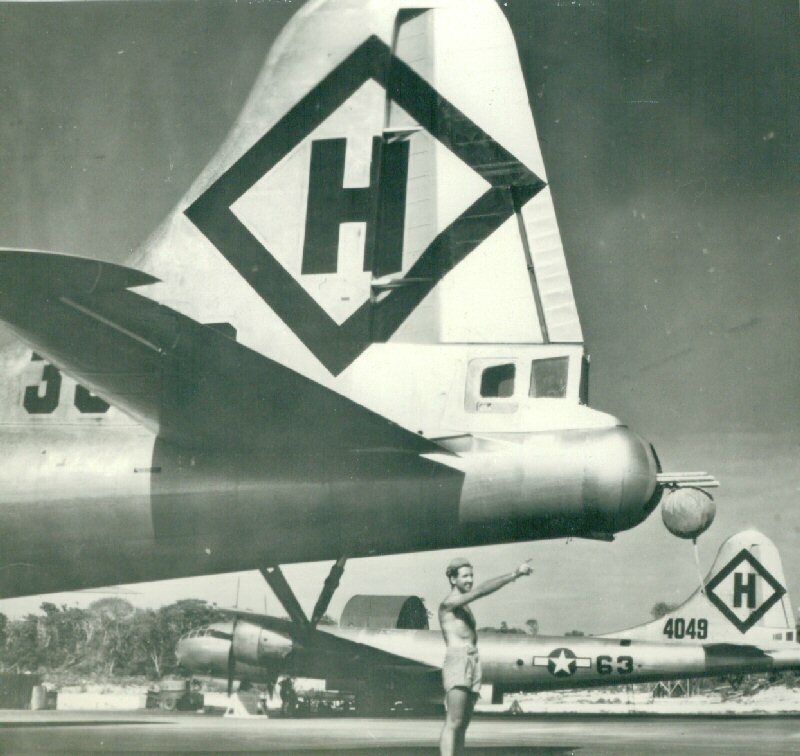 These two radar units gave the B-29B a distinctive shape as the APQ-7 antenna appeared as a small wing under the fuselage, between the two bomb bay doors and the APG-15 added a ball shaped antenna to the tail of the aircraft below the tail guns. 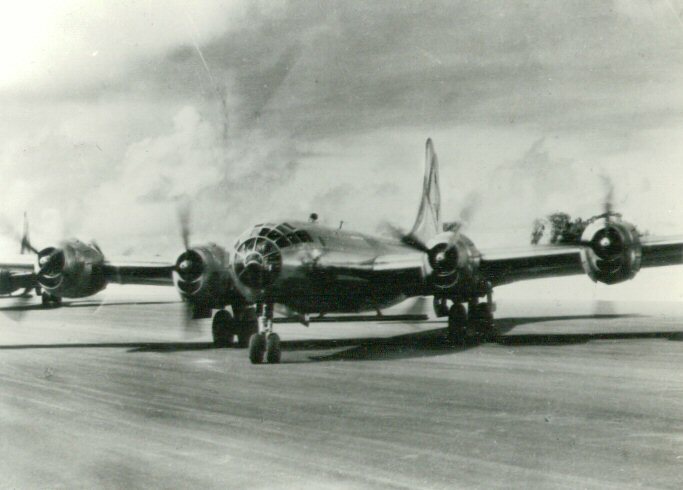 General Armstrong in Fluffy Fuz III, lining up for take off for first Empire mission flown by the 16th and 501st Bomb Groups, units of the 315th Bomb Wing, June 26, 1945. 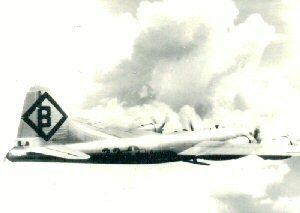 Following is Aircraft named Fleet Admiral Nimitz of the 501st Bomb Group. Aircraft named Fleet Admiral Nimitz of the 501st Bomb Group, taking off for first Empire mission flown by the 16th and 501st Bomb Groups, units of the 315th Bomb Wing, June 26, 1945. B-29B landing at Northwest Field, Guam. Note the wing shaped radar antenna between the main landing gear. 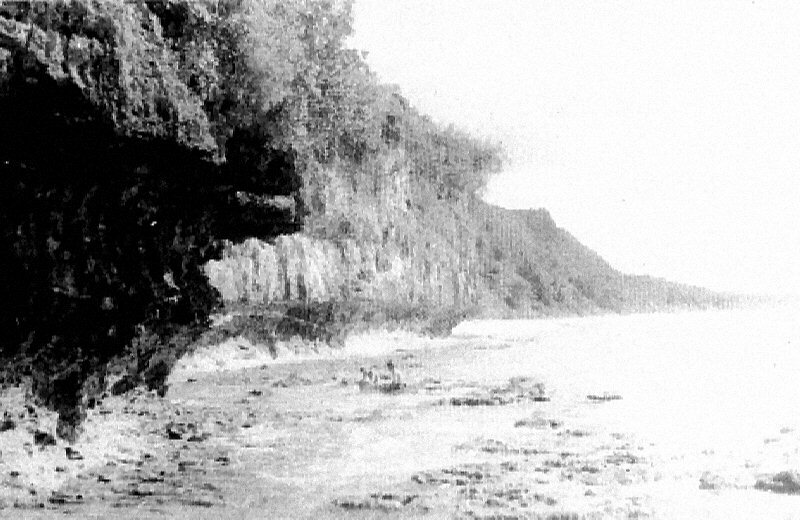 This photo is an enlargement of a photo found further down the page. 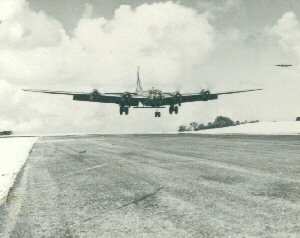 A 501st Bomb Group aircraft taking off on first wing mission. 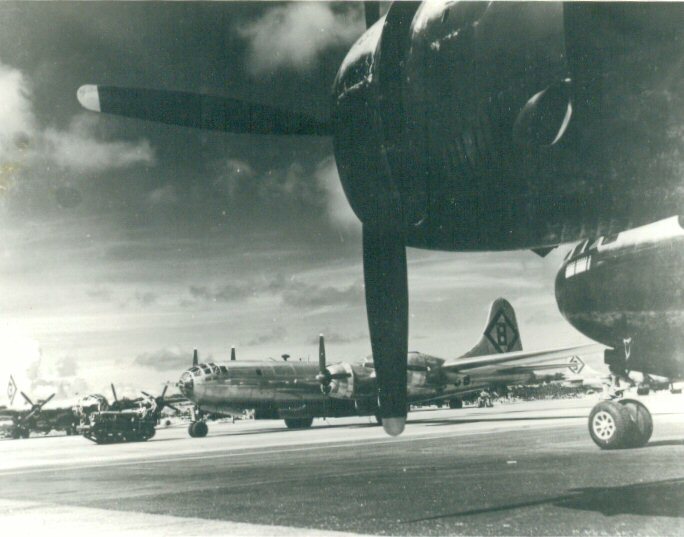 315th Bomb Wing B-29B beginning taxi out. 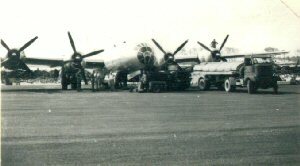 501st Bomb Group B-29B starting engines. Photo by Robert Ingram Powell. Mr. Powell was in the Navy stationed with the SupRad Navy Intelligence Group on Guam. He related to me he was a rated civilian pilot before the war and would bum rides on any aircraft that he could get on. This photo was taken in the latter part of 1945. 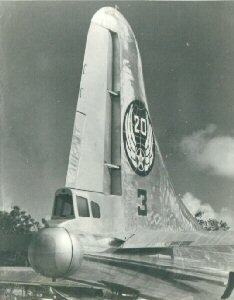 Rear view of the B-29B. 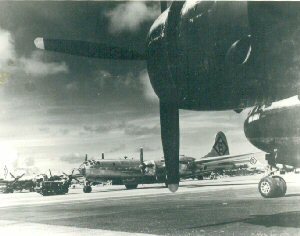 16th bomb Group B-29s on the ramp. Airman pointing to APG-15 gun installation. Profile of the APG-15. 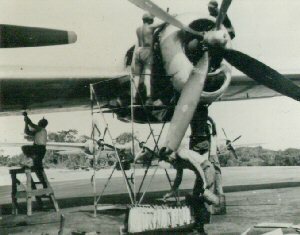 Later the 20mm cannon was removed. Photo of 485th Bomb Squadron, Late Date landing. 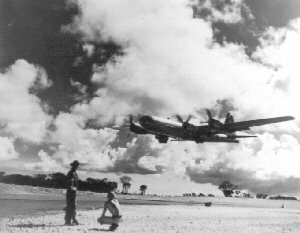 Another B-29 is in the background on final approach. 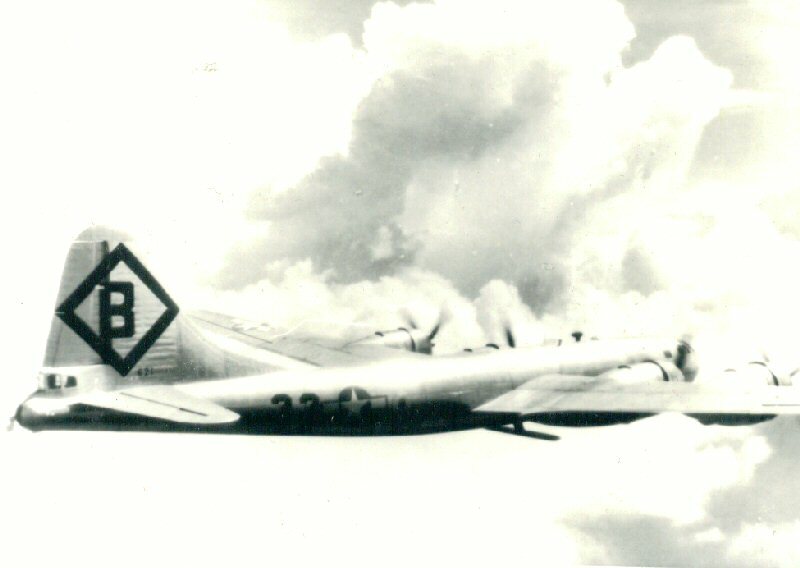 16th Bomb Group aircraft, Magic City. Filling up the fuel tanks. The cliffs at the north end of the runways. 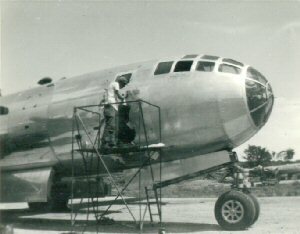 The B-29 required lots of tender loving care. It appears this aircraft is getting some "nose art" applied. The three photos above are of the 3 B-29's that were polished up for a special flight of B-29s that was organized in Guam. 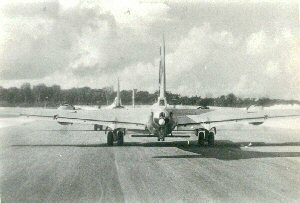 These aircraft were used on a planned non-stop flight from Japan to Washington DC. 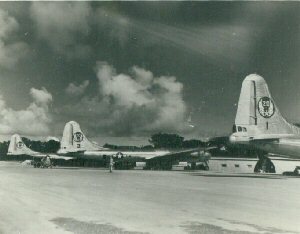 They took off from Guam, stopped at Iwo Jima to refuel, then to Sapporo Japan to begin their flight. 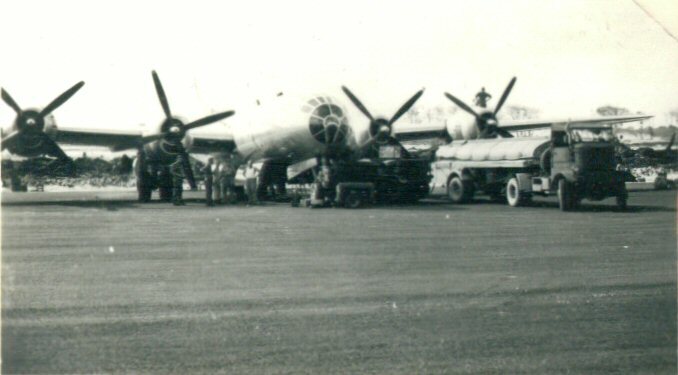 As Japan was under a fuel shortage, Gen. LeMay arranged for fuel to be staged at Sapporo to top off the tanks. Unfortunately, the flight encountered unexpected headwinds over Alaska that caused them to use too much fuel. The aircraft landed in Chicago to refuel, then continued to Washington DC. Aircraft number 1 was commanded by Lieutenant General Barney Giles. Number 2 by Major General Curtis LeMay and number 3 by Brigadier General Emmett O'Donnell.